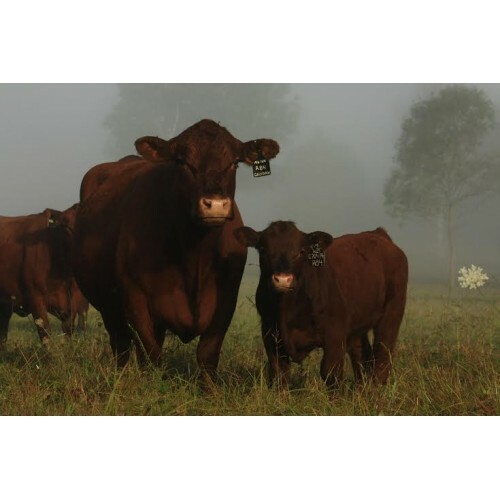 Family owned and operated, Full Moon Farm proudly offers grass fed beef, pastured pork and lamb. And that's just what's edible! 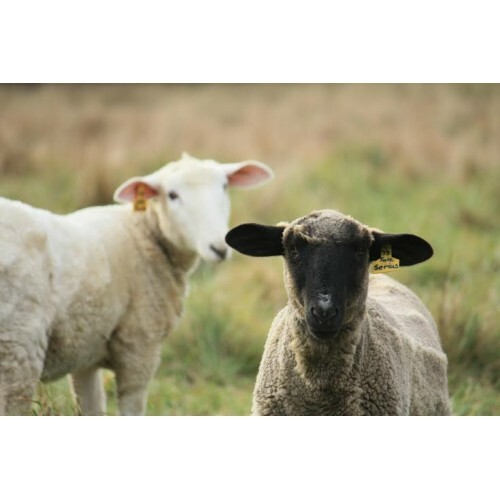 From our herd of happy sheep, we produce fine wool as well as a line of handcrafted clothing and accessories. Grazing, rooting and pecking on over 300 acres nestled beneath the Shawangunk Ridge in Gardiner, New York, our animals are raised in a low-stress environment the way nature intended, without the need for antibiotics or other drugs. At Full Moon Farm, we are committed to raising livestock as an environmentally and economically sustainable enterprise. We believe that good soil health produces healthy food and clean meat, so we maintain our high quality pastures using only natural amendments (no chemical fertilizers, pesticides or herbicides) and rotational grazing. This produces a healthier—and more delicious—alternative to feed lot and confinement produced meats. We have chosen this holistic model of raising our animals for the benefit of our animals and those who eat the meat from our animals. Ruminants like cattle, goats and sheep should eat fibrous grasses, weeds and shrubs, not starch-filled, low-fiber grain. An unnatural, grain-based diet favors the growth of e. Coli and causes acidosis. Under these conditions, animals require a variety of chemical additives and constant, low-dose antibiotics. This kind of long-term misuse of antibiotics is responsible for resistant bacteria that can be passed on to humans. Full Moon Farm, located in New York's Ulster County, is proud to be part of the growing movement away from an industrial food production system that has divorced the consumer from the source of their food. We encourage all consumers to embrace small farms and local producers. Get to know your farmer and your food—you’ll support the local economy, build community and enjoy your food like never before. At Full Moon Farm, we’re proud to be good stewards of the land, promoting sustainable, humane and environmentally responsible farming techniques that help to ensure that our historic farmlands remain for future generations to enjoy. Where to Find our Products: Farm Store: Self-serve farm store open 8am-6pm every day. Farmers Markets: Cold Spring Farmers Market (outdoors May-Nov at Boscobel House and Gardens, Route 9D, Garrison. Indoors Nov-May on 1st and 3rd Saturdays at St. Mary's Parish Hall), Taliaferro Farms (167 Plains Road, New Paltz. Thursdays 8am-7pm, Fridays 8am-6pm, Saturdays 9am-3pm, Jun-Oct), New Paltz Winter Farmers Market (3 Veterans Drive, New Paltz. Dec-Apr, 2nd Saturday of the month from 10am-3pm).